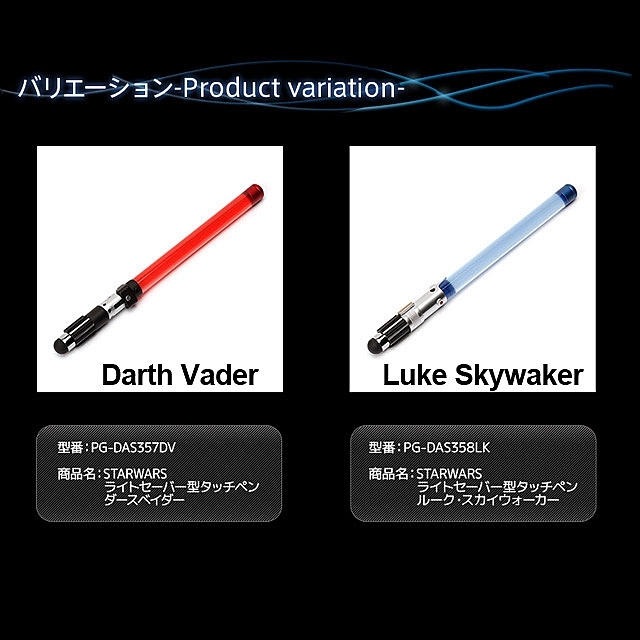 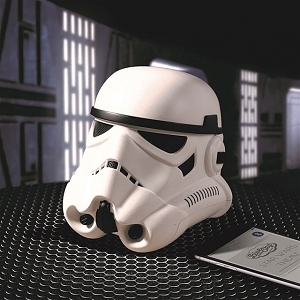 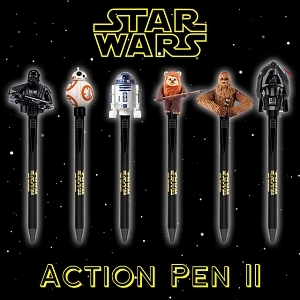 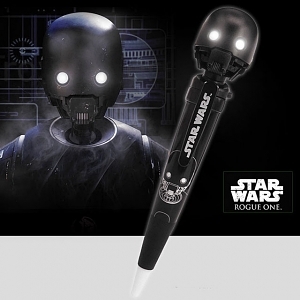 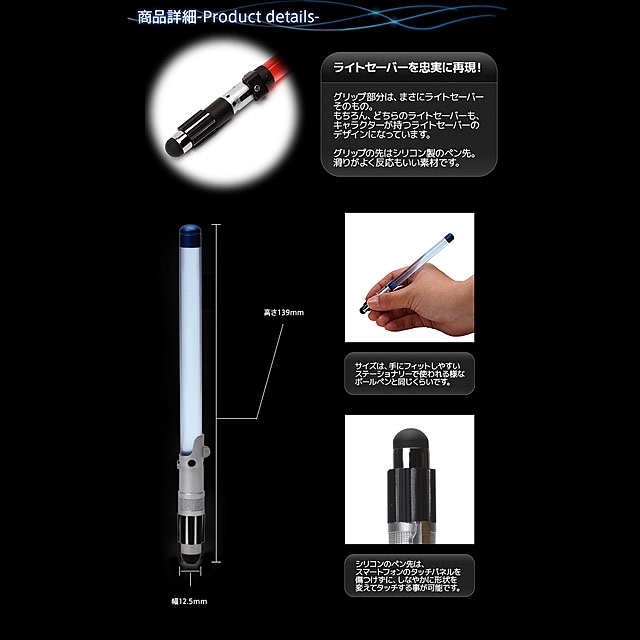 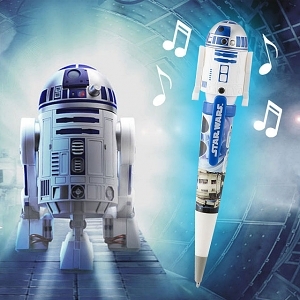 Star Wars Lightsaber Touch Pen special design with lightsaber shape. 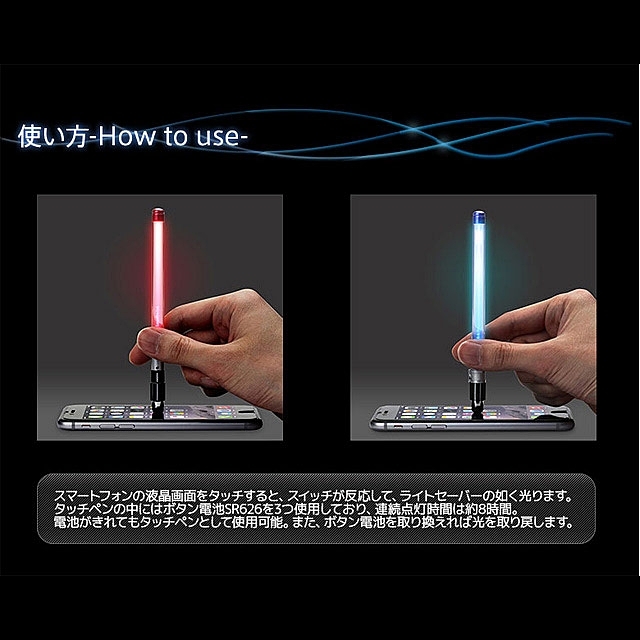 An impressive designed touch stylus features fancy lighting colors on the body. 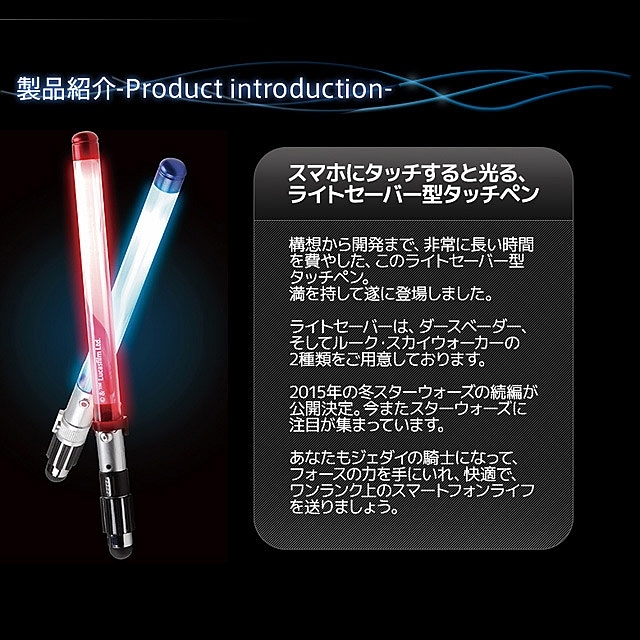 Light up automatically when it touches. 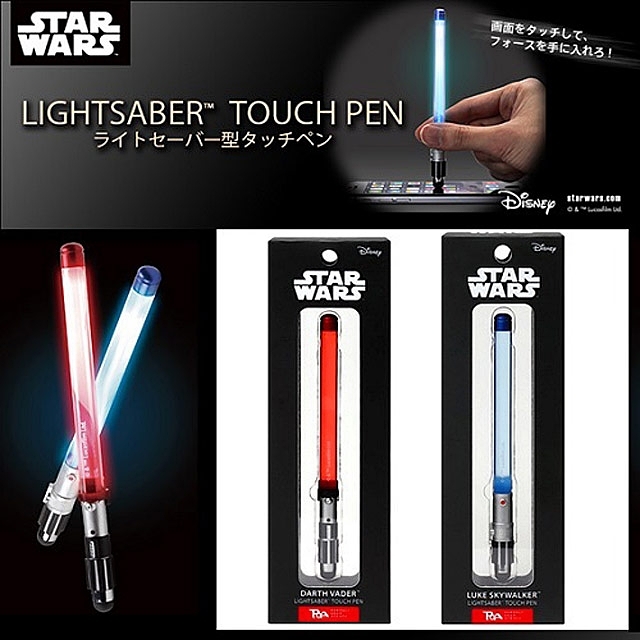 Soft conductive tip prevents scratch and is compatible for most screens. 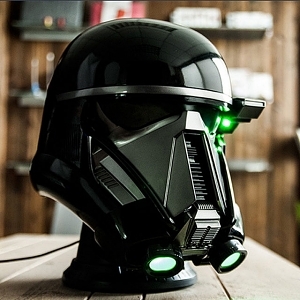 Ideal for reading map in the dark and playing game. 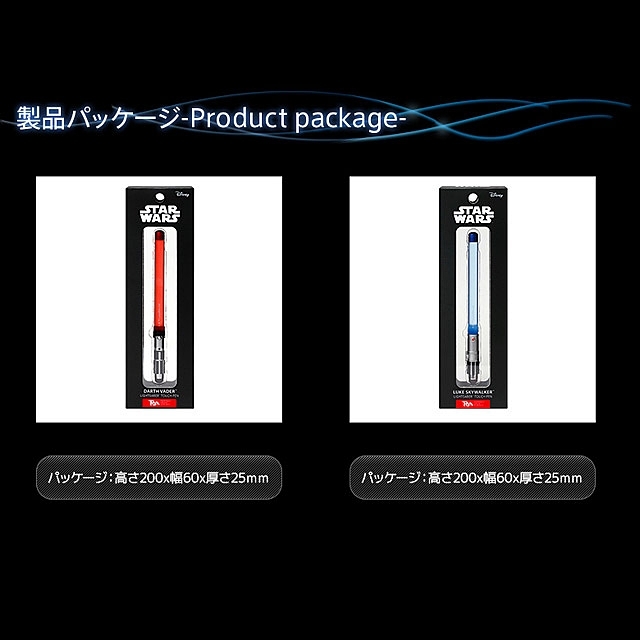 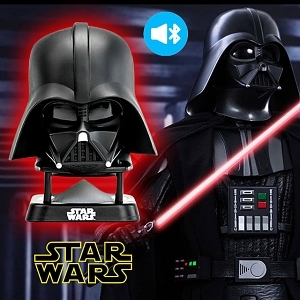 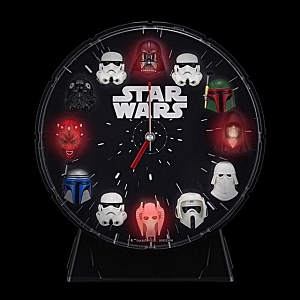 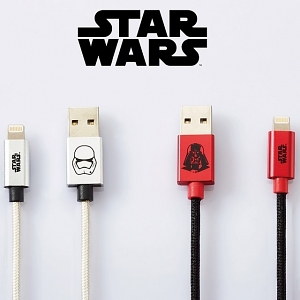 Available in two colors - red for bad ole Darth Vader fans, and Blue for the lighter side of the force, depicting Luke Skywalker's weapon of choice.